It was the 8th November 2015 at around 20h30, my wife and I were walking from my parents house in Kwamagxaki, Port Elizabeth when suddenly we saw a trial of light in the sky. It looked like someone was playing with fireworks and one of them flew over our heads from behind. I looked back checking to see who was playing with fireworks but there wasn’t anyone. I took no real note of it. Two days later I hear of meteor which landed somewhere in the Kouga Municipality which is 20 to 30 minute drive from where my parents stay and of people all over PE seeing the same trail of light in the sky that we saw and linking it to the meteor. This picture was captured 6 years ago in a village called Sea View, Port Elizabeth, Eastern Cape. Friend and myself was outside taking pictures with his new camera from Germany, with filters etc. 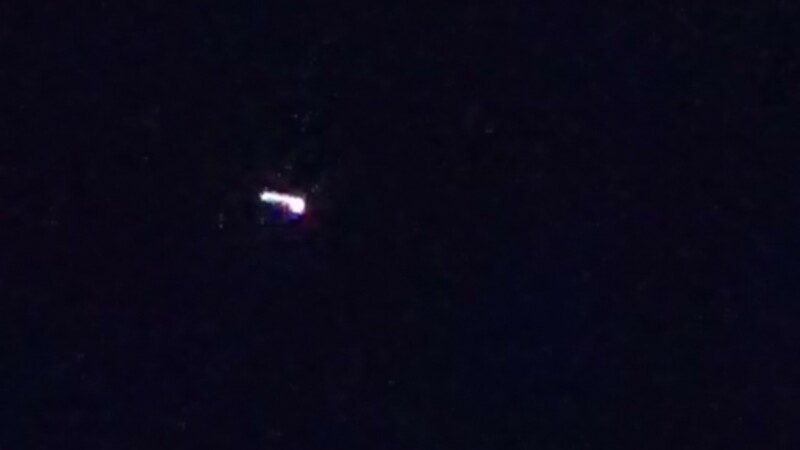 During the period, he had taken 3 photos of this object travelling with speeds that we couldn’t see with the naked eye. My family and I just witnessed 6 red lights flying through the sky in Port Elizabeth between 21:00pm and 21:25pm on 13 April 2014. There were 3 incidents, 2 lights, then 3 lights, then a single light. They all flew, slowly from the same direction without any sound, 5 “hovered” in a position then disappeared/faded into the night sky. They appeared to be flying higher till they were out of sight. We also saw 3 shooting stars in a space of 15 minutes. These lights did not make any noise while flying.